It’s time for another brand profile! I’d like to introduce you to organic French niche brand Graine de Pastel which comes from the city of Toulouse in the South West of France. The first store of Graine de Pastel was opened in Toulouse almost two years ago; today the company operates six outlets across France. When I was in Paris last December I visited Graine de Pastel’s Marais store. It was late afternoon and already quite dark so the quality of the picture above is not the best – but the store is beautiful. Graine de Pastel also has three spas, by the way. 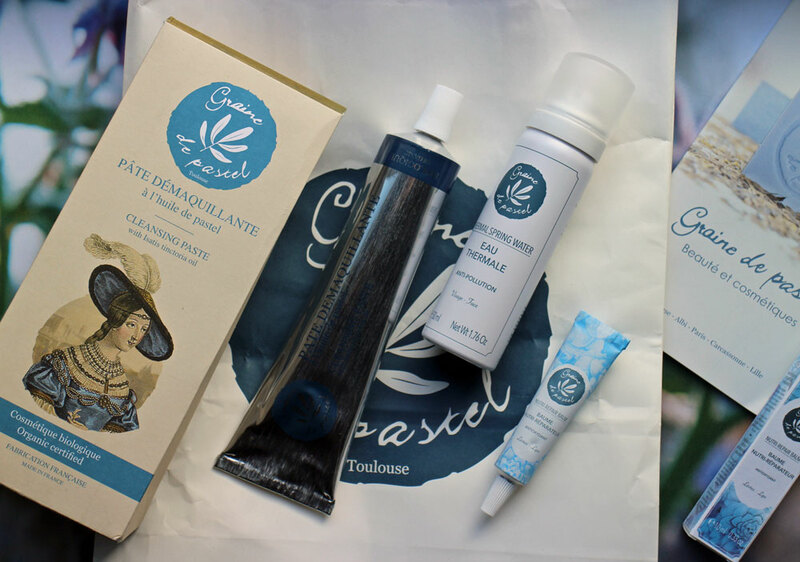 The product portfolio of Graine de Pastel is natural-inspired rather than organic, but there is one Ecocert-certified organic range which I found particularly interesting: I bought the Cleansing Paste, a Thermal Water Spray and the Lip Balm. The key plant extract in the Graine de Pastel products is woad (Isatis Tinctorius) which is also called “false indigo”. The French name for woad is “Pastel” – and this is also where the brand name comes from. Woad is traditionally used to produce a natural deep blue dye; all of the packaging of Graine de Pastel (and the store interior) features matching pastel blue tones. For centuries the region around Toulouse has been famous for the cultivation of woad. And when Carole Garcia and Nathalie Juin decided to found a cosmetics company, they focused on the (almost forgotten) woad plant – and Graine de Pastel was born. In Europe, Isatis Tinctorius also has a very long tradition as a healing plant. The oil is pressed from the seeds of the Pastel plant, it contains a high percentage of unsaturated fatty acids (omega 3, 6 and 9). A study by the University of Toulouse found that the plant proteins are supposed to stimulate collagen production. Graine de Pastel’s products also include other regional ingredients, such as plum kernel oil from the Gascogne. The Ecocert-certified Bio range of Graine de Pastel offers two face creams, a cleanser, a face scrub, a body cream, a hand cream, an Eau de Toilette, a bar soap and a skin care oil. Around six months ago, French beauty blogger Mademoiselle Nature reviewed the brand’s Face Scrub; I was particularly interested in the Cleansing Paste. 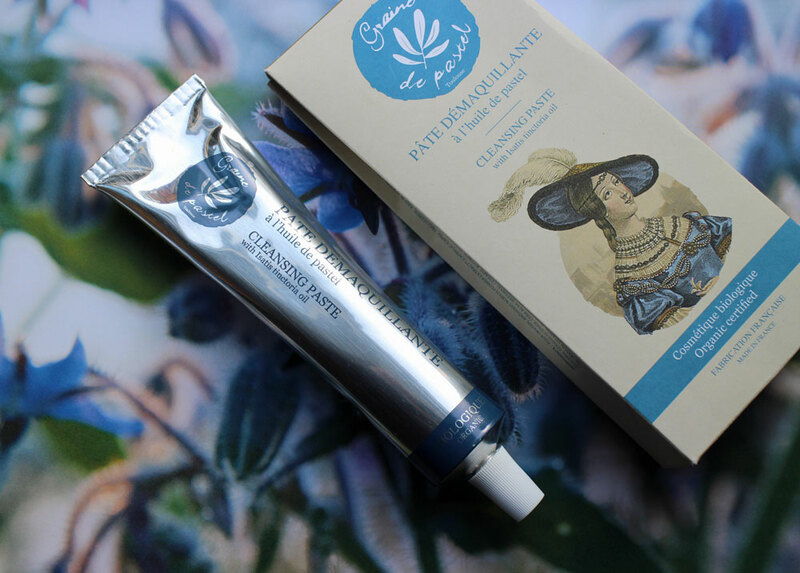 The Pâte Démaquillante is packaged in an aluminium tube, the outer cardboard packaging features a picture of glamorous 16th century Toulouse native Paule de Viguier – isn’t she gorgeous? I was surprised when I tried out the Cleansing Paste: I had expected a firm texture but the Pâte is milky-soft; the product is easy to apply and rinses off quickly. It’s a non-drying cleansing milk scented with soft florals and aromatic sandalwood. You can find more info on Graine de Pastel’s homepage. I like the Cleansing Paste very much and will probably buy it again. The Thermal Water comes from the regional natural spring Renaissance; the spring water contains minerals which help to soothe and moisturise the skin. I like thermal water sprays; they’re such a very French beauty product! In Germany, these mineral water sprays are not quite as common. I have already decided that this summer I’ll be publishing a more detailed article on thermal water cosmetics! The Nutri Repair Balm is not certified organic but 99% of the ingredients are of natural origin. The balm is packaged in a slender tube; it is water-free and based on sunflower oil (more information about the INCI declaration is available here). You only need a small amount; the balanced oily-waxy texture feels very comfortable on the lips. Graine de Pastel has a charming brand concept; based on such a traditional (and regional!) plant and with a certified organic product range as well… very nice. I particularly liked the Cleansing Paste. Tonight’s the night: at midnight the tickets for this year’s NaturalCosmeticsCamp will go on sale! The annual NaturalCosmeticsCamp, organised by Wolfgang Falkner’s TheCampCompany, is the biggest German-language bar camp in the German organic beauty industry. The event will take place from 19th-27th June 2017 in Panoramahotel Oberjoch in Bad Hindelang (a small spa town located in the Allgäu region of Germany). I like the motto of this year’s Natural Cosmetics Camp: “Pioneers of Real Beauty”. More information about the programme is available on the NaturKosmetikCamp website. On the afternoon of Monday, 19th June, there will be a pre-convention tour through some of the organic stores in the Hindelang/Kempten area; plus a hiking tour around the Iseler Mountain and an evening party. Participants come from all sectors of the organic industry: cosmetics companies, retailers, ingredients manufacturers, hotel and spa professionals, distribution, packaging, consultants and marketing, plus press, media and bloggers. There are 150 tickets available on a first-come first-served basis: the prices are 269 Euro for trade visitors and 169 Euro for students and non-trade attendees. 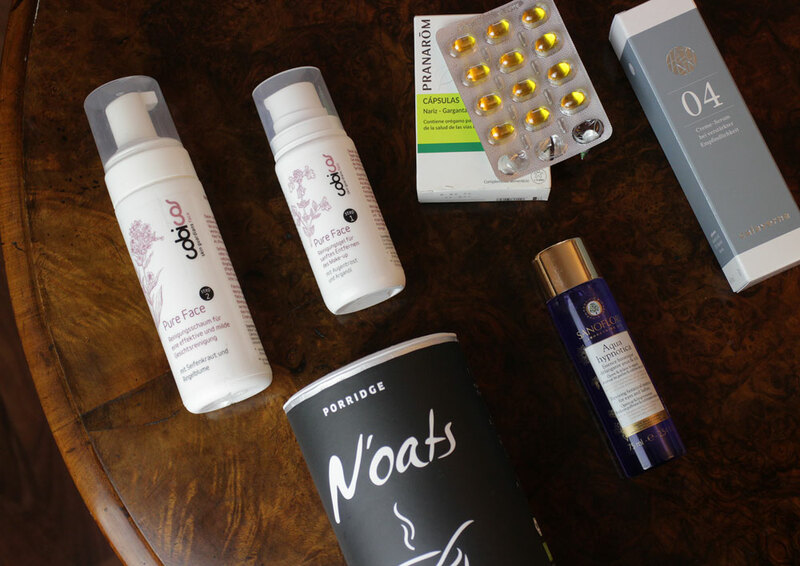 If you want to read more about what a bar camp is (these events are also called “non-conferences“) and what happens at NaturalCosmeticsCamp, check out last year’s article here – or read my reviews of NaturkosmetikCamp 2014 and NaturkosmetikCamp 2015. I’m fighting off a cold at the moment so I am currently taking the Capsules Gorge Nez (Throat and Nose Capsules) from French brand Pranarom. I had bought the capsules on a trip to France last autumn. These kind of flu/cold herbal supplements usually contain a blend of essential oils, so I was surprised to find that the Pranarom capsules are actually pure oregano essential oil diluted in rapeseed oil. My essential oil and aromatherapy books describe oregano oil as a kind of natural antibiotic: the essential oil contains a high percentage of carvacrol (a phenolic monoterpene) which helps against viruses and bacteria. You should never ingest undiluted oregano oil (also avoid taking large amounts of oregano oil or taking oregano oil over a long period of time – children and pregnant women should avoid oregano essential oil entirely!). In addition to its antibiotic properties, oregano oil stimulates the immune system and blood circulation. I took one Pranarom capsule just before eating, three to four times a day for four consecutive days – and I must say, my cough receded, the cold symptoms didn’t get any worse and I felt much less sluggish than usual. Thank you oregano! 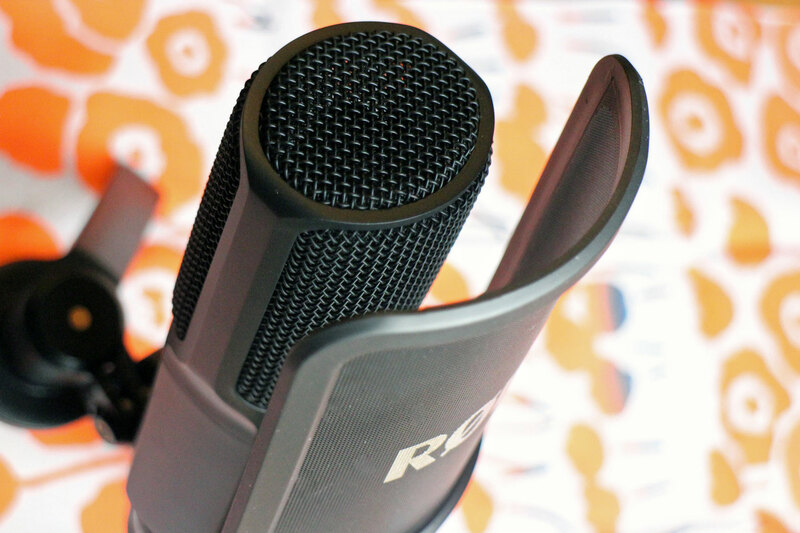 More information about the Oléocaps from Pranarom are available here, you can buy them in most French pharmacies. I have already shown Pranarom’s capsules for better sleep in these Beauty Notes here. You can also buy oregano essential oil from other brands, like German aromatherapy company Primavera. I have been using the Double Cleansing routine for years. Like so many beauty trends, the double cleansing concept originated in Asia: traditionally you’d use a cleansing oil first and then follow up with a soap/foam based product for the second round of cleansing. There are many different double cleansing routines – in my case, I use micellar water to take off my makeup and most of the dirt and then use another product to really cleanse my skin. I alternate between different types of cleansers so I was intrigued when German organic brand Cobicos sent me the new Pure Face Cleansing Duo. The first step is a liquid gel formulated with a sugar tenside: you put some of the gel on a cotton wool pad and take off your makeup. Then you use the second cleanser, a cleansing foam which has a fluffy texture. Both products are certified by German association BDIH and the INCI listings are nice and short. The Cobicos cleansing duo works really well on my skin, the liquid-y gel removes makeup (including mascara) super quickly without burning in my eyes – I admit, I like this cleansing gel even better than my beloved micellar water from So’Bio ètic! And the cleansing foam feels really good on the skin; it cleanses without drying it out. 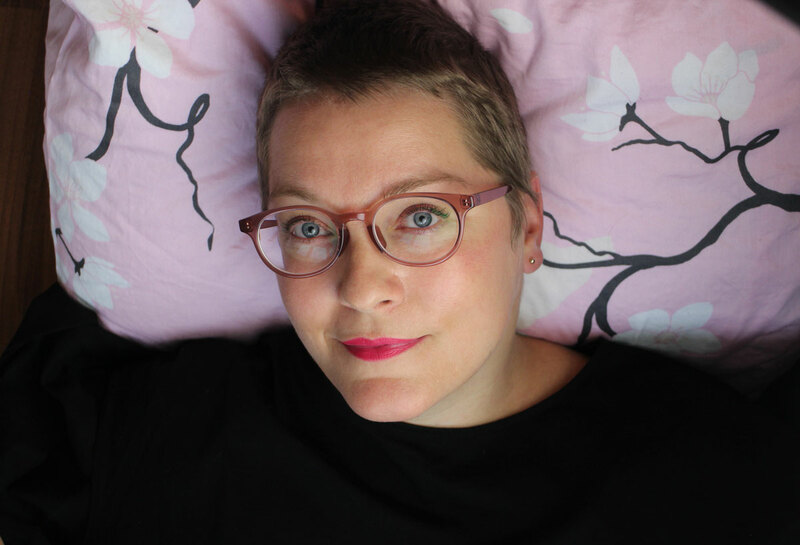 If you want to read more about the founder of Cobicos, I published an interview with Birgit Corall in autumn 2015. You can buy the Cleansing Duo online, for example in the Cobicos webshop, or in other online stores like Naturdrogerie. I was intrigued when I read about the French brand Sanoflore’s new Aqua Hypnotica Essence for eyes and lashes. Usually an essence is a thick hydrating toner; Sanoflore has taken this concept and turned it into an eye care product. You apply a few drops of the gel-like liquid to your undereye area or the eyelids, or put the Essence on a cotton wool pad and place it over your eyes as a refreshing compress. I was reminded of German brand Dr. Hauschka’s Eye Refresher which, however, has no gel texture. I was so curious about the Aqua Hypnotica Essence that I immediately ordered the product from a French parapharmacie. When the parcel arrived I was surprised by how small the blue flacon was – then again, it is an eye care product! The Essence is based on cornflower water; it is refreshing and moisturising. If you like you can apply a cream on top of the essence but I didn’t really need an additional moisturiser, my eye area felt smooth and hydrated for hours, without any tightness whatsoever. I really like the idea of a liquid eye care product! More information about the Essence is available on Sanoflore’s homepage; the Essence for eyes and lashes contains 75 ml and costs around 13 Euro. How often do you use a face mask? I must admit that I sometimes only manage one mask per week; in Asia, however, regular masking is an established beauty ritual. So I decided that it was high time for me to do a Mask Challenge: Over the next seven days I will try out a different mask every evening! I was inspired by the #1day1pack hash tag – and since we have icy winter temperatures in Germany at the moment, it is the perfect season for masking 😉 . I’ll keep you posted (literally!). I decided to start off my Mask Challenge with the Peel-Off Protective Mask from French brand Secrets des Fées: an innovative clay algae mask which refines and soothes the skin and nourishes it with minerals. This Peel-Off mask was inspired by the popular “rubber” or “modelling” masks from Korea – you’ve probably seen this kind of mask around: a powder mixture which you stir up with water or another liquid. Once the mask is ready you apply a thick layer to your face and then pull it off after the mask has dried. The mask contains: Clay, rice powder and algae powder – a powder mask which is packaged in a sachet. INCI: Diatomaceous Earth, Oryza Sativa (Rice) Powder*, Algin, Calcium Sulfate Hydrate, Magnesium Oxide, Disodium Phosphate, Aqua (Water), Glycerin**, Cl 77492 (Iron Oxides), Parfum (Fragrance), Ananas Sativus (Pinapple) Fruit Extract*, Sodium Dehydroacetate. * Ingrédient d’origine biologique. How to: I always use two sachets because it makes the mask easier to handle. I mix 60 ml of hydrosol (I used linden blossom water) with the mask powder in a little bowl. Stir the mixture thoroughly for around 30 seconds, scoop up the thick, gooey mass and quickly apply it to your face. I sprayed my skin with a hydrosol beforehand. You need to work quickly because as soon as the mask hardens it becomes difficult to apply. After around ten minutes (don’t leave it on for too long) I gently pull the rubbery mask layer off my skin – and the whole messy process is so worthwhile! My skin is calm and cool; it looks more refined and clearer than before, but not as dry as it would be after a classic clay mask. Result: These Peel-Off masks are so cool! My skin really likes them and I love the cooling effect which lasts for a surprisingly long time. I used a little cream serum from Calaverna to finish off my night-time routine but you don’t really need an additional moisturiser after the Peel-Off mask, it is so hydrating! I prefer Secret des Fées’ Protective mask, I think it is the most moisturising variant they offer. What a perfect beginning for my Mask Challenge! I have written about the Peel-Off masks from Secrets des Fées before; you can find the article here. A double sachet with 2 x 8 gr costs 4.10 Euro, the brand is available through various online stores such as najoba, Naturdrogerie, Pure Schönheit or Monde Bio. I have been flirting with the Mermaid Mask from Hawaii-based beauty brand Leahlani for ages! It is a total cult product on the international organic beauty scene. Last December I gave in and finally ordered the mask! And this is the first time I actually tried it out 😉 . The mask contains: Honey, spirulina, chlorella, clay and selected essential oils – a thick creamy mask which is packaged in a little jar. INCI: Organic Hawaiian raw honey, Organic Hawaiian spirulina (Spirulina Maxima), Pure organic chlorella (Chlorella Vulgaris), French green clay, Pure sea clay, Luminess algae, Organic sea buckthorn CO2 (Hippophae Rhamnoides), Vanilla CO2 (Vanilla Planifolia), Essential oils of: Organic orange (Citrus Aurantium Dulcis), Moroccan chamomile (Tanacetum annuum ), Roman chamomile (Matricaria chamomilla), Bee balm (Monarda fistulosa), Geranium (Pelargonium Graveolens), Palmarosa (Cymbopogon martini), Lavender (Lavandula Angustifolia), Ylang ylang (Canaga Odorata), Rose (Rose Damascena), White lotus flower absolute (Nelumbo Nucifera), Beeswax absolute (Apies millifera), Coriander seed (Coriandrum sativum), and LOVE. How to: First of all you have to really stir up the thick mass so that the dark and green layers are properly blended. Then you apply a teaspoon full of mask mixture to your lightly dampened face. The mask has a subtle orange marmalade fragrance and a really cool green colour (very mermaid-y!) 🙂 . The mask doesn’t dry; after around 5-10 minutes you remove it with lukewarm water. It rinses off easily, you don’t even need a konjac sponge or other cleansing cloth to remove the last traces. Result: As I had expected, the Mermaid mask is a water-free honey-algae-clay mask. I sprayed a floral hydrosol over my face before I applied the mask, to lock the moisture into my skin. The honey has anti-inflammatory properties; the clay mineralises and tones the skin. Algae are rich in amino acids, proteins and vitamins so they have a strong antioxidant effect. After I rinsed off the mask my skin looked even and calm and it felt very soft. The mask couldn’t really do anything against the dry patches on my cheeks, but then again it doesn’t claim to be super-moisturising. The Mermaid Mask is definitely a glow-enhancing mask – it’s a pity that I went to bed straight afterwards, I really should have gone out on a date or something 😉 . Because my cheeks are rather dry at the moment I applied some oil on my face before going to bed. And I am pretty sure that I’ll finish the Mermaid Mask jar off soon 😉 . I bought the Mermaid Mask from Leahlani from Dutch online store Reina Organics. In France you can find Leahlani in online stores such as Mon Corner B; I haven’t found any German stores that retail the brand. A jar with 50 ml costs 34 Euro. You can find more information about Leahlani on the brand’s homepage. Today is the third day of my Mask Challenge! I already tried a rubber mask and a mermaid mask but tonight I think, I’ll go for a classic creamy mask: The Hydrating Mask from German brand Dr. Hauschka! My favourite Dr. Hauschka mask is actually the Revitalising Mask but in these winter temperatures my skin needs an extra portion of hydration and lipids, so the Hydrating Mask (a press sample) should be the perfect choice 😉 . Dr. Hauschka’s Hydrating Mask used to be known as “Enveloping Mask” and was exclusively available through Dr. Hauschka-trained beauticians. However, last year Dr. Hauschka decided to relaunch the mask as Hydrating Mask and it is now available at all brand stockists. The mask contains: Quince seed extract, sunflower oil, olive oil, avocado oil and sweet almond oil – a cream mask packaged in a tube. How to: This is such an uncomplicated mask! After cleansing the face simply squeeze out a generous portion of the face mask and smoothe a thick layer onto your skin (I sprayed some hydrosol on my face prior to applying the mask). Leave the mask on for around 20 minutes and very gently remove it with a soft damp cotton cloth – don’t rub too much; take off the mask bit by bit like a compress. Afterwards my skin felt super soft and I didn’t need any additional moisturiser. Results: I can understand why this mask used to be called „Enveloping Mask“! Directly after I had applied the mask I noticed the high percentage of oils; my skin felt really protected and pampered. After 20 minutes most of the mask had been absorbed into my face, there were only a few traces here and there. The mask left a very thin waxy layer on my face (probably the beeswax and the rosewax) which I didn’t want to remove – after all, it keeps the moisture locked into the skin while I sleep. The next morning I inspected my face – and the dry patches on my cheeks are much less noticeable, yay! I recommend this mask for dry skin which needs lipids and protection. You can also apply a very thin layer of this mask – which has a very subtle floral scent – as a day cream. The Hydrating Mask from Dr. Hauschka contains 30 ml and costs 33 Euro. It is available at all Dr. Hauschka retailers but also online, for example at Naturdrogerie or Greenglam. You can find more information about the mask on the Dr. Hauschka homepage. My fourth mask day is all about hydration! In these winter temperatures my skin really needs everything: moisture, lipids and protection (see the Hydrating Mask from yesterday). And for today’s mask I selected the Organic Flowers Hydrogel Mask from Korean brand Whamisa. The hydrogel mask is an incarnation of the classic sheet mask – actually, it sounds funny to call sheet masks “classic” because in the European organic beauty market, sheet masks are still not particularly common 😉 . Anyway, the Whamisa mask is not a saturated cotton mask but a firm jelly-like gel mask. One of the big advantages of sheet masks – and hydrogel masks in particular – is that they prevent the mask moisture from evaporating on the skin. It is no surprise that the sheet mask concept originated in Asia (in Korea, to be precise) – targeted hydration is of paramount importance in Asian skin care. Besides hydrating the skin, the BDIH-certified Whamisa hydrogel mask also includes fermented plant ingredients which have an antioxidant and anti-inflammatory effect. The mask contains: Aloe vera and fermented plant ingredients – in a single-use, individually packaged hydrogel face mask. How to: To make application easier, the hydrogel mask has been divided into two sections: one for the upper part of the face (forehead, eyes and cheeks), the second half for the lower part (cheeks, mouth and chin). Both gel mask sections are divided by a white foil so it is easy to identify which section goes on what part of the face. Take out the jelly mask very carefully (making sure not to accidentally pierce the gel with your fingernails!) and place the mask sections onto your face, one after the other. Once the mask was on I laid down for a bit (on my face the hydrogel mask occasionally tends to slip a little) and enjoyed the cooling, wet feeling of the mask on my face. I feel that the hydrogel soothes and moisturises the skin; after around 15 minutes I take off the mask parts and throw them away. You can use the slippery gel remains that are left in the mask pack as an extra layer of moisture on your face but my skin felt perfectly hydrated already. I didn’t need any additional moisturiser afterwards. Results: My skin is plump, moisturised and cool; any red patches hat I might have had are soothed – and the next morning the hydrating effect is still there! I have also noticed that my skin loves being pampered with a mask every single evening. My dry patches are already almost gone! You can also use the hydrogel mask in the morning instead of toner and serum; it’s such an amazing boost of hydration! The Hydrogel Mask from Whamisa contains 33 gr and costs 10 Euro, for example through Savue, Biomazing or najoba. And now for something completely different! This is the Turve Detox Mask from Finnish beauty brand Frantsila – a Christmas present from Sirkku from Hilla Naturkosmetik because she knows how much I love the peat mask from Estonian brand Vestige Verdant 😉 . You can see how big the mask jar is, it contains 500 ml: the Turve mask is designed to be used on face and body which reminded me of the peat sauna that I visited in Finland four years ago. Frantsila uses finely milled peat from the Alavus region in Finland. The peat is more than 5000 years old; it is considered a therapeutic, healing ingredient. Peat is rich in minerals and has an anti-inflammatory effect – it helps to boosts the production of skin cells and stimulates the lymph nodes. The mask contains: Pure peat which contains a wide range of plant ingredients (such as humic acid) and minerals – a thick peat paste which is packaged in a jar. INCI: Sphagnum carex peat, Humification degree H8, ph -5.2. Humic acids 15%, Fulvic acids 7%, Pectins 1.7%, Humine + liqnine 56.7%. Therapeutic amounts of Mg, Mn, Cu, Zn, Fe together 4%. How to: Although you can apply the peat mask straight from the jar, Frantsila recommends heating up the mask to 44 C to increase the beneficial effects. I didn’t have a thermometer in my kitchen so I simply heated three spoonfuls of the mask in a little pot until it was a little warmer than my body temperature. Then I applied the Turve Detox mask to my face. I always make sure to apply the mask in a thick layer, otherwise it dries too quickly. The mask stays on for around 20 minutes; in between I spray my face with a special healing water (which I’ll introduce to you soon!) so the peat doesn’t dry too much – that way, it is easier to rinse off the mask and it doesn’t tingle so much on the skin. The Frantsila mask has a peaty-earthy smell; I use lukewarm water and a soft cotton cloth (for stubborn traces around the nose) to take off the mask. I didn’t use any night care or face oil afterwards, my skin felt beautiful soft and not dry at all. Perhaps this is also an effect of my Mask Challenge! Anyway, you should always follow your intuition; if your skin feels tight or dry after a mask, apply some moisturiser. Results: These peat masks are amazing! Such a simple composition – yes, ok, the peat has formed over thousands of years which is perhaps not so simple 😉 – but in 20 minutes, the Turve Detox mask has managed to refine my skin, resulting in smaller pores and a clearer skin tone. Also, the peat doesn’t dry out my skin but instead it makes it soft and smooth. In addition, I like the comforting warmth of the mask; the heat probably boosts the healing power of the peat. It is difficult to say whether the Frantsila Turve Detox mask differs much from Vestige Verdant’s peat mask – I don’t have the VV mask to directly compare it with. And presumably the composition of the peat is different because Vestige Verdant harvests its peat from a different region. Anyway, I am a big peat mask fan! Even if it means having to clean my wash basin afterwards (peat masks are also messy…). The large pot with 500 ml costs 29.90 Euro and should last pretty long. In Germany, Turve Detox mask is only available through Hilla Naturkosmetik. All day yesterday I was looking forward to my evening mask – I really like the Mask Challenge! 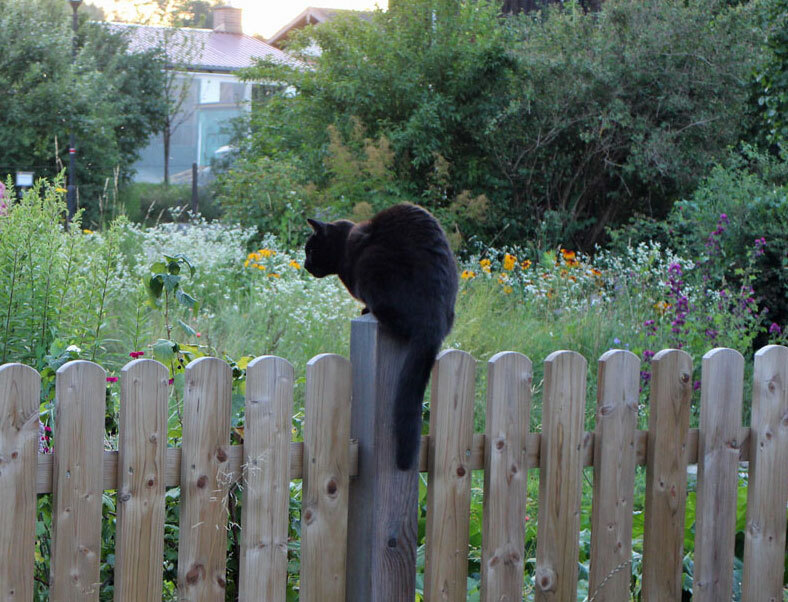 We still have severe winter weather in Nuremberg and I had been out all afternoon. When I came back home and walked into my dry, heated flat my cheeks all of a sudden started to turn red and the skin felt really irritated. Which means that this was the perfect evening to try out the soothing Masque Apaisant from French beauty brand Phyt’s new fragrance-free Sensi Phyt’s range for sensitive skin! Phyt’s is from a remote yet beautiful region in the South West of France. The company was established in 1972; they were one of the pioneer brands in the French organic beauty market. Phyt’s is a very traditional brand, perhaps because they are based right in the middle of a beautiful landscape and not in a large city. Quite a few of Germany’s traditional organic brands are also located in the more rural areas of the country; Dr. Hauschka is based in the Swabian Alps, Primavera comes from the Allgäu region of Germany and Logona and Sante are from Salzhemmendorf. But now back to the Masque Apaisant! The Cosmebio-certified face mask is described as a kind of SOS mask for irritated skin. The active ingredients are magnolia extract which helps to minimise itchiness and tingly skin; The Marvel of Peru (yes, this is indeed the official English plant name of the mirabilis jalapa flower which comes from Mexico) soothes redness and helps the skin to handle constant temperature changes. Exactly what I need at the moment! And I like the pretty pink packaging. The mask contains: Aloe vera, glycerin, processed plant oils, soy oil and magnolia extract – a creamy mask packaged in a tube. INCI: Aloe vera (Aloe barbadensis) leaf extract, Water (Aqua), glycerin (natural), C10-18 triglycerides, Soybean (Glycine soja) oil, Sucrose stearate, Butylene glycol, Sweet Almond (Prunus amygdalus Dulcis) oil, Glyceryl stearate citrate, Olive oil decyl esters, Shea butter (Butyrospermum parkii), Microcrystalline cellulose, Candelilla/Jojoba/Rice bran polyglyceryl-3 esters, Glyceryl stearate, Cotton (Gossypium herbaceum) extract, Tapioca starch, Magnolia (Magnolia grandiflora) bark extract, The Marvel of Peru (Mirabilis jalapa) extract, Sunflower (Helianthus Annuus) oil, Rosemary (Rosmarinus officinalis) leaf extract, Tocopherol (natural Vit E), Sodium levulinate, Sodium anisate, Squalene, Cetyl alcohol, Propanediol, Sodium stearoyl lactylate, Dicaprylyl ether, Lauryl alcohol, Xanthan gum, Citric acid. 100% of the ingredients are of natural origin. How to: Such a convenient face mask! Open the tube, apply a thin layer of the almost gel-like cream mask to your face and leave it on for ten minutes. After five minutes, the mask had already been absorbed into my skin which felt enveloped in a protective film. After ten minutes I took off the last traces of the mask with a soft tissue – no need to rinse off this mask which would further stress the skin. You can also use the mask as a night-time moisturiser; it has a very subtle powdery-floral scent (although there is no fragrance amongst the ingredients; I like that!). I didn’t need any moisturiser afterwards. Results: The mask feels so good on my skin! It’s a really innovative and ingenious texture: the gel texture has a pleasant cooling effect without being too wet or moist, but at the same time the Masque Apaisant hydrates and protects the skin. After 15 minutes the red patches on my cheeks had faded considerably and my whole face looked more even-toned. Wow! I must admit that this mask was a real surprise and – I think – it is my favourite Mask Challenge product so far. Luckily I don’t have sensitive skin as a rule but I think that the mask would work really well on irritated skin, too. The tube of Masque Apaisant contains 40 gr and costs 35.90 Euro. I bought the mask online at Monde Bio; you can also find it in selected French pharmacies and beauty salons. More information and a shop finder are available on the Sensi Phyt’s homepage. I did it! I successfully finished my Mask Challenge, seven masks on seven consecutive nights… and this last mask was the easiest of them all. The Pour Une Peau Parfaite Revealing Overnight Mask from French brand So’Bio étic is a classic Korean-inspired sleeping mask – apply it in the evening, leave on overnight and rinse off the rest in the morning. I love sleeping masks; they feel so light on the skin and they are ideal for those evenings when you don’t have the time for a more elaborate mask ritual. Sleeping masks leave a very light non-sticky film on the skin which locks in the moisture. So’Bio étic’s Overnight Mask contains lotus flower extract, witch hazel, sebum-regulating and moisture-binding zinc salts and hyaluronic acid. It is said to help minimise red patches, refine skin texture and leave the skin clear and even-toned – hence the name “Pour une peau parfaite” (for a perfect skin). I had bought my Overnight Mask in Paris last autumn and have already shown it in these Beauty Notes from late November. The mask contains: Witch hazel hydrosol, glycerine, processed oils, zinc PCA, lotus flower and hyaluronic acid – a cream mask packaged in a tube. How to: This mask has a subtle pink tint! I like it 😉 . I apply a pea-sized amount of the mask (that’s all you need, seriously!) onto my cleansed face and fini! The mask has a supple and ultra light gel cream texture (but is not moist or wet at all!) which was absorbed into my skin after around three minutes and didn’t leave my pillow sticky either. The scent of the face mask is very French; a blend of powdery, creamy and floral notes. Results: Did this Overnight Mask make my skin look perfect? Well, after one night only that would be a bit too much to ask 😉 . But I do love this kind of feather-light yet moisturising skin care. I recommend this mask to anyone who prefers light (and almost oil-free) night-time treatments. Also, it is the perfect mask to apply on long-haul flights because it doesn’t look oily or shiny. After cleansing my face the next morning I applied hydrosol and face oil and my skin felt great. Such a cool French-Korean beauty product! The 50 ml tube of the Pour Une Peau Parfaite Revealing Overnight Mask from So’Bio étic costs 14.59 Euro. Outside of France you can buy the product online, for example through Ecco Verde or najoba. My thoughts after the Mask Challenge: Was it worthwhile applying a mask every single evening? Yes, absolutely. I made sure to alternate hydrating masks with cleansing packs and to use both lighter and more nourishing masks – otherwise the Masking Week would probably have been too rich for my skin type. A couple of days ago I noticed that perhaps the daily masking had already been a little too taxing for my skin (see entry #6) so the Soothing Mask from Sensi Phyt’s came just in time. It is really important to pay attention to how your skin feels, not just when you’re doing a beauty experiment like the Mask Challenge, but also in your daily skin care routine. For me this means: if my skin feels dry I will use nourishing or hydrating masks for several consecutive days as a special treatment, but generally my “normal” beauty routine of 1 or 2 masks per week seems to be just right for my skin type. It would be interesting to try out the same mask for seven days in a row but I don’t think I would document this on my blog – you’d probably go to sleep by the second entry! Anyway, I really enjoyed my Masking Project – and I like this “beauty theme” concept very much, so there might be more theme weeks in the future 😉 . I hope you liked the Mask Challenge, too! I am currently at Vivaness trade show (Vivaness is the biggest organic beauty trade fair in Europe and very exciting) so you can look forward to reading all about the new German and European product launches on Beautyjagd soon!